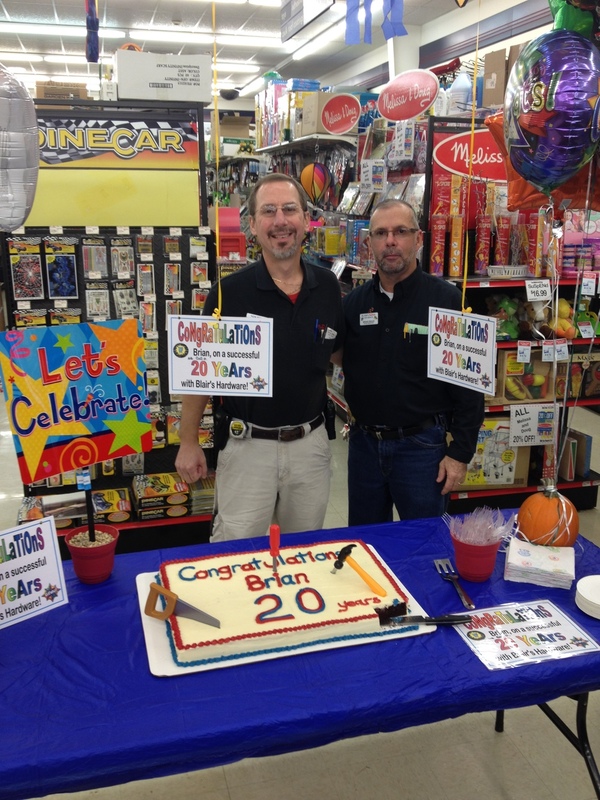 We're happy to celebrate the 20th anniversary of our New Berlin location, and the manager who helped open the store – Brian Kraus. Blair's employees surprised Brian with an amazing homemade cake and some special recognition on his big day. All of us thank Brian for being an invaluable member of Team Blair. Cheers to 20 years! Jim Blair surprises Brian Kraus with a card signed by "the whole city."